Today's Letters: Dear Mr. Loerke, when I came to bed last night you said you were fixing sick people trapped in the mountains. Then you asked me for a defibrillator. So I handed you my Woobie and said CLEAR and goodnight. Dear Bahama Bucks, there are only a few things in this world that Husband and I would drive an hour out of our way for. Your red raspberry & cream snow cone = 100% detour worthy. 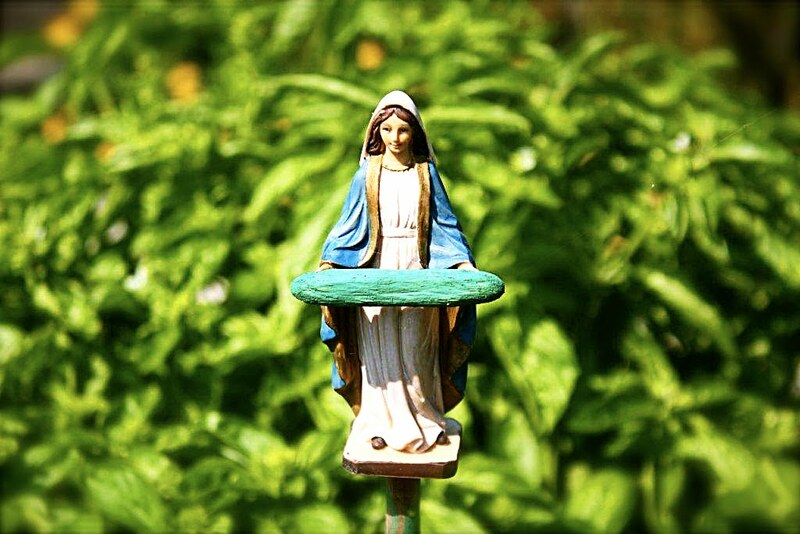 Dear Papa, your most recent craft: a blessed Virgin Mary statue (offerer of all things cucumber) to watch over your plot at the community garden. Bob Vila and I are so proud. Dear Beloved, love you more than thick woolen scarves, Griswold #8's, and things made from pumpkin and allspice. Can't wait to experience another Fall with you. han, husband is a deep sleeper which means awe.some biscuit conversations. love it!